It isn’t intuitively obvious, but whales arose from small terrestrial quadrupeds that returned to the sea, paleontologists have long known. But the fossil evidence has been scanty. Now researchers report the extraordinary discovery of an amphibious whale ancestor so primitive that it still has four legs – and tiny hooves at the tips of its fingers and toes. This was the first quadrupedal ancestral whale to be discovered in the South American continent. Others, even older ones while about it have been found in India and Pakistan. The report appeared Thursday in Current Biology by lead author Olivier Lambert of the Royal Institute of Science in Belgium and colleagues. Laypeople always wonder how paleontologists figure that a creature four meters long that looked like a cross between an otter, a crocodile and a dog was the precursor of whales. “To place these very early, four-limbed mammals among cetaceans, paleontologists use cranial characters,” Lambert told Haaretz. That Pakicetus is the earliest-known whale ancestor, which is also the forefather of dolphins. Pakicetus lived over 50 million years ago in what is today Asia and looked like a cross between a ferret, a crocodile and a dog. Over millions of years, their front legs evolved into fins, their back legs became vestigial and then just disappeared, and their furry skinny tail turned into a naked whale tail. 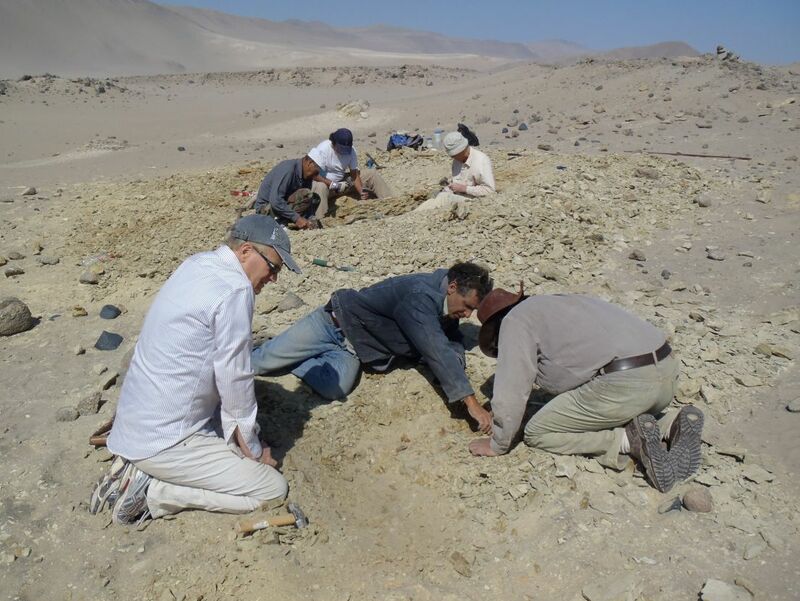 The whale ancestor was found in 42.6-million-year-old marine sediments on the Peruvian coast. It has been named Peregocetus pacificus, meaning “the traveling whale that reached the Pacific.” This is because the whale fossils found to date were in Asia, so this is an outlier. Also, this was hardly dog-sized. It was about four meters long, including the tail, the researchers say. The age of the newly found ancestor and its the location on the western coast of South America suggest that ancestral cetaceans reached the New World from Africa across the South Atlantic, the researchers report. For one thing that is the way the current would have taken then. For another, 50 million years ago the distance between the two continents was half what it is today, the researchers explain. Since it had legs and hooves, the scientists suspect it could walk perfectly well – but the vertebrae in its tail were reminiscent of beavers and otters, suggesting the tail contributed strongly to its swimming abilities. Also, its paws sported long toes that may well have had webbing, as well as the tiny little hooves. Ergo it could probably walk, it could run, and it could swim. This was super-proto-whale. “This is the first indisputable record of a quadrupedal whale skeleton for the whole Pacific Ocean, probably the oldest for the Americas, and the most complete outside India and Pakistan,” says Lambert. The animal was dated with the help of micro-fossils, to the middle Eocene, 42.6 million years ago. 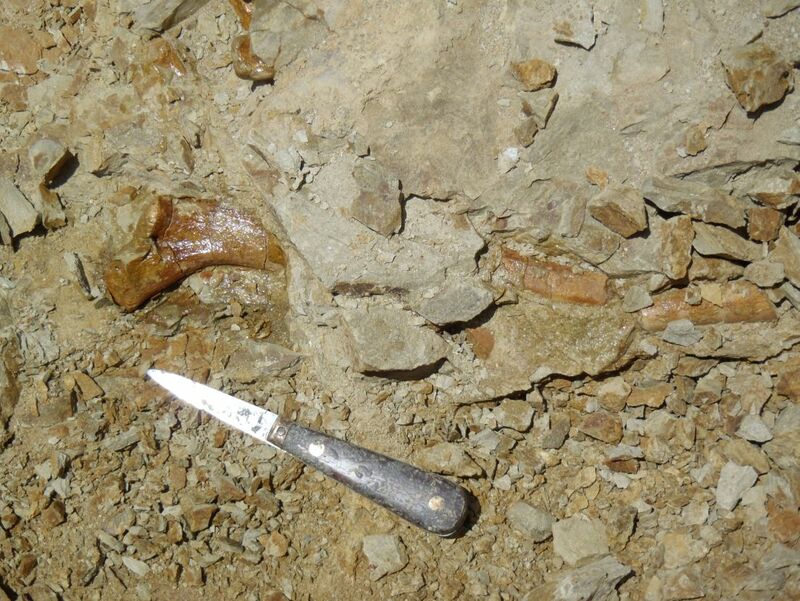 “When digging around the outcropping bones, we quickly realized that this was the skeleton of a quadrupedal whale, with both forelimbs and hind limbs,” Lambert says. With the help of microfossils, the sediment layers where the skeleton was positioned were precisely dated details of the skeleton allowed them to infer that the animal was capable of maneuvering its large body (up to 4 meters long, tail included), both on land and in the water. The hooves beg the question of whether hoofed quadrupeds like horses and goats are related to whales somehow, in the dim reaches of prehistory. They are, according to genetic evidence, but they split tens of millions of years ago. These days the closest living terrestrial relative to whales is actually the hippo.